Longtime Tucson residents Russ and Mac Perlich saw a dire need for access to the arts in Arizona schools. But instead of bringing arts and culture to the classroom, they found a way to get students out to experience it in the real world. Launched in 2011, Russ and Mac Perlich started Act One, a non-profit dedicated to helping Arizonans of all ages have greater access to art. Since 2011, Act One has managed a program called Culture Pass, originally created in 2009, which partners with 11 public libraries in Tucson and 50 libraries in other parts of Arizona. Any library cardholder can check out a pass, which gives them free admission for two people to cultural events hosted by 61 participating arts organizations across the state. Thousands of Arizonans are able to access museums, botanical gardens, cultural attractions and theater performances year-round for free, as long as a pass is available. The success that the program has seen over the last few years prompted Pima Community College to join as the first educational institution to offer the Culture Pass in their Desert Vista campus library. Now, any PCC student or faculty member can check out a pass at that location and experience the arts at no cost to them. "We're excited to be the first community college to participate in the program," Sol Gomez, head of the Desert Vista campus library, said in a press release. "Our students have already shown interest in the program and are excited to explore the arts with the Culture Pass." 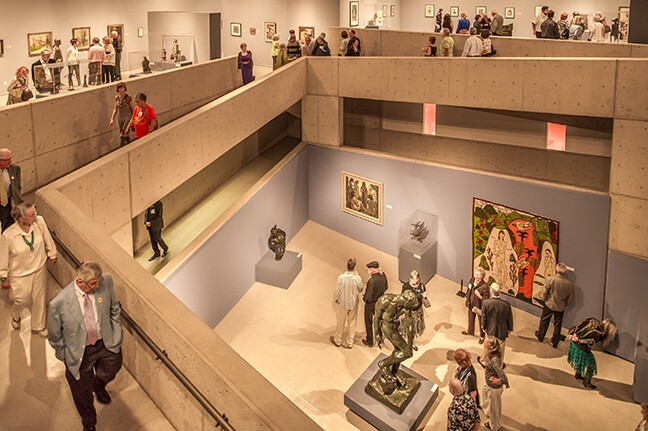 In Tucson, nine cultural museums (including the Tucson Museum of Art, the Arizona-Sonora Desert Museum and the Museum of Contemporary Art) have general admission tickets up for grabs. Theater performances from Arizona Theater Company, Arizona Opera, the Scoundrel and Scamp Theatre, UA Presents and more are available as well, with passes distributed no more than two weeks prior to a show's debut. "We are immensely proud and incredibly excited to announce Pima Community College as our newest partner in the Culture Pass Program," Geri Wright, president and CEO of Act One said in the press release. "We are committed to ensuring all Arizonans have inroads to the arts, and our Culture Pass Program allows us to continue our mission. This is an important growth milestone for us and, with the support of our library partners, we can bring arts access to even more Arizonans statewide." The Desert Vista campus is located at 5901 S. Calle Santa Cruz. The Culture Pass is also available at the following Pima County public libraries: Joel D. Valdez, Eckstrom-Columbus, Himmel Park, Joyner-Green Valley, Kirk-Bear Canyon, Miller-Golf Links, Mission, Quincie Douglas, Valencia, Wheeler Taft Abbett Sr. and Woods Memorial.